In my house, I'm already thinking about Christmas. I have to admit that I did leave this Christmas Mantel all set up for just a couple of extra days before stowing it away until after Thanksgiving. 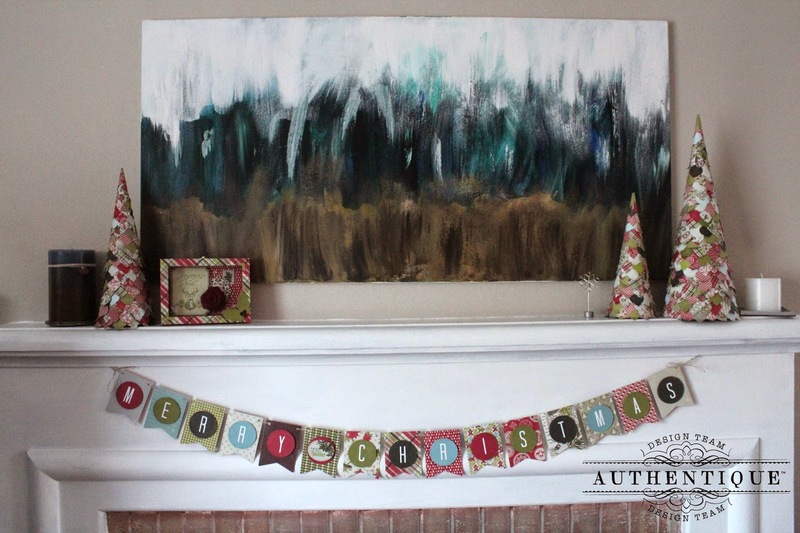 To start with my mantel, I wanted to create a few items that had a lot of impact. 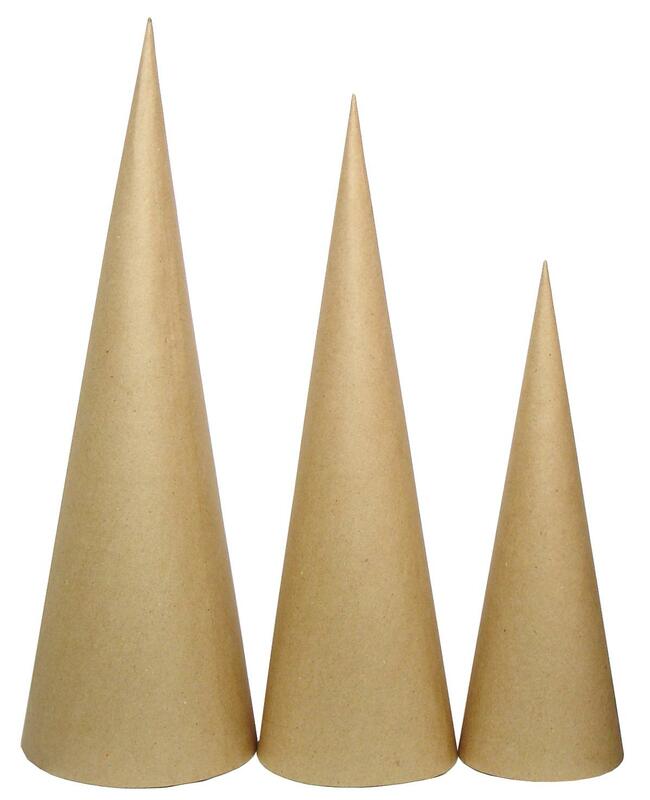 I started with three paper mache cones (mine are from SPC-Sierra Pacific Crafts). Many places start having these around Christmas time or right before. I didn't have access to three sizes, but wanted that look so I cut a couple of inches off of the bottom of one of them. Now, once you have the cones... Take a punch (I used the Fiskars Squeeze Punch-Ornamental although a simple circle punch would work as well) and start punching paper. For the three cones, I ended up using two entire 6x6 Bundles in Believe. You can also use 12x12 paper, or a combination of the two. Once you have a bowl of shapes, sit with a bottle of liquid glue, a cup of coffee and a movie and start working. This takes awhile, but you start at the bottom and layer the shapes upward. Here is one of the cones mid-process. I found that once I got into a groove, it went a bit faster. 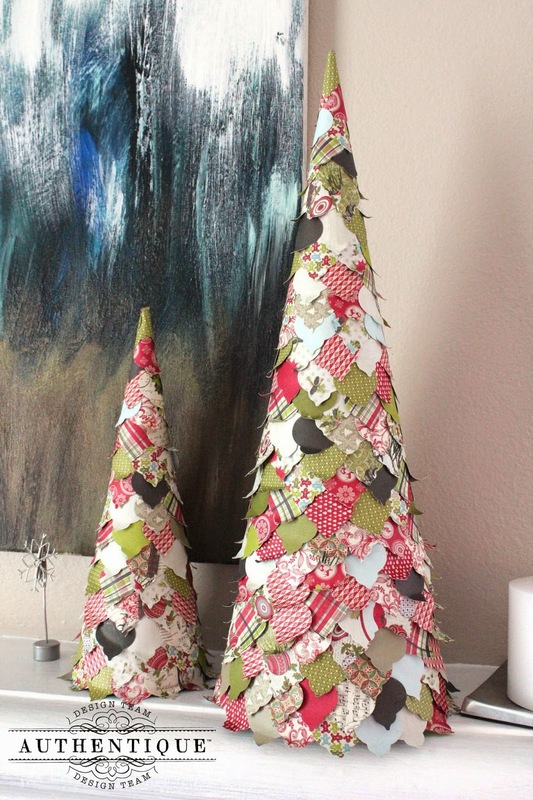 After the cones were complete, I decided that I needed a banner to go along with the Christmas "trees". I started with various pieces from the 12x12 Authentique Believe Collection, Each of the banner pieces was cut using the Lawn Fawn Lawn Cuts Stitched Party Banners. I cut down 12x12 papers into strips, then ran them through my die cut machine using the smaller of the two banner sizes. For the banner pieces I used: Innocence, Wonderment, Tidings, Adorn, Universal, Homeward, Essence, Ideal, Wonderland, & Pleasing. 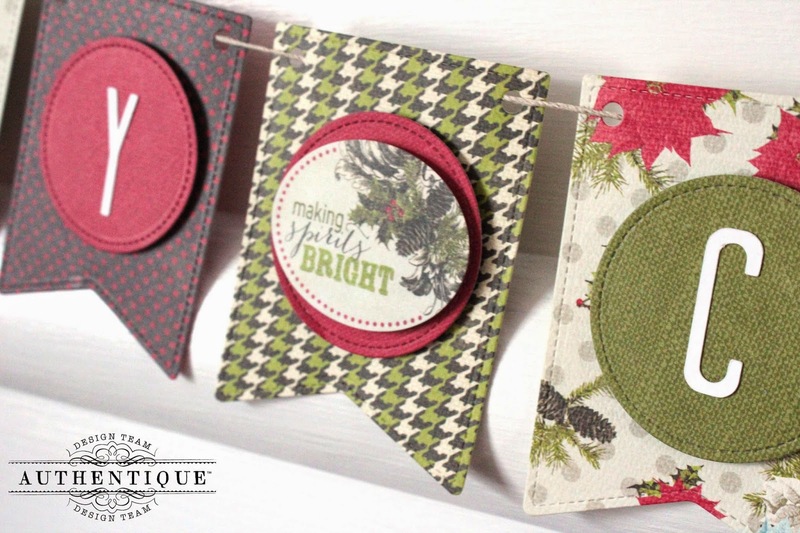 For each of the smaller circles, I used the stitched circle die from the Lawn Fawn Lawn Cuts Stitched Party Banners set and used both sides of the Foundations One and Two from the Believe Collection. I used a fun font (Tall Dark & Handsome) on my computer to cut the sentiment with my Silhouette. I also used pieces from the Components 6x12 Paper Die Cut instead of letters for the space between the two words. To make each of the circles pop just a bit more, I made some dimensional adhesive by running strips of craft foam through my Xyron 3" Sticker Maker on both sides. This way, I could cut large pieces without having to spend too much time on peeling the pieces. 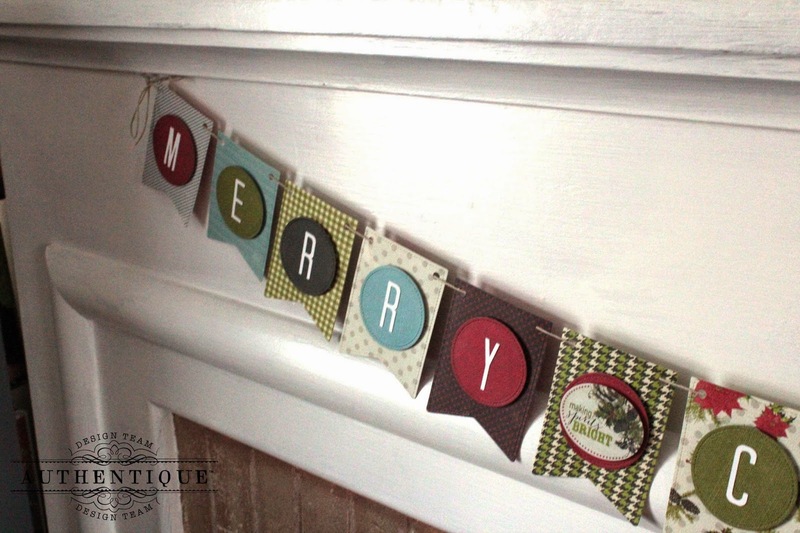 I also used the Xyron 3" Sticker Maker to attach each of the letters to the banner. String it onto some twine and you're done! To make sure that the banners didn't move around, I did use some tape on the back of each piece where the string was. 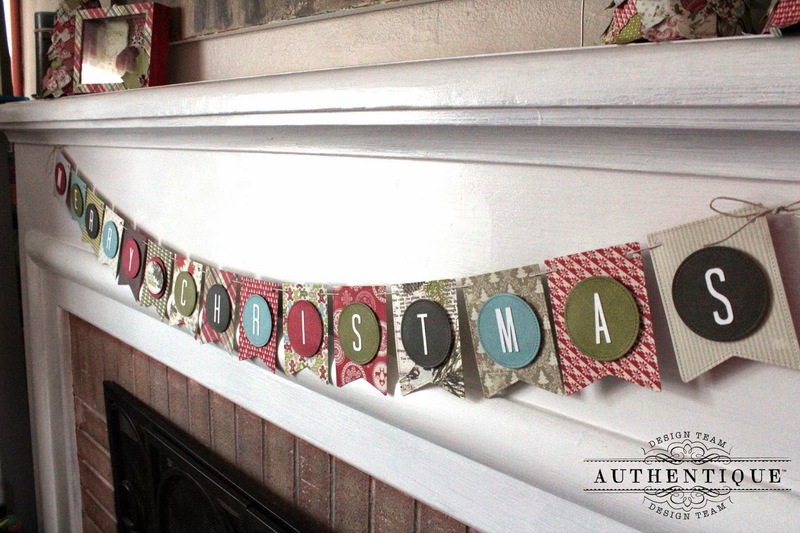 Also on my mantel, another fun SPC Surfaces project also using Authentique's Believe Collection. 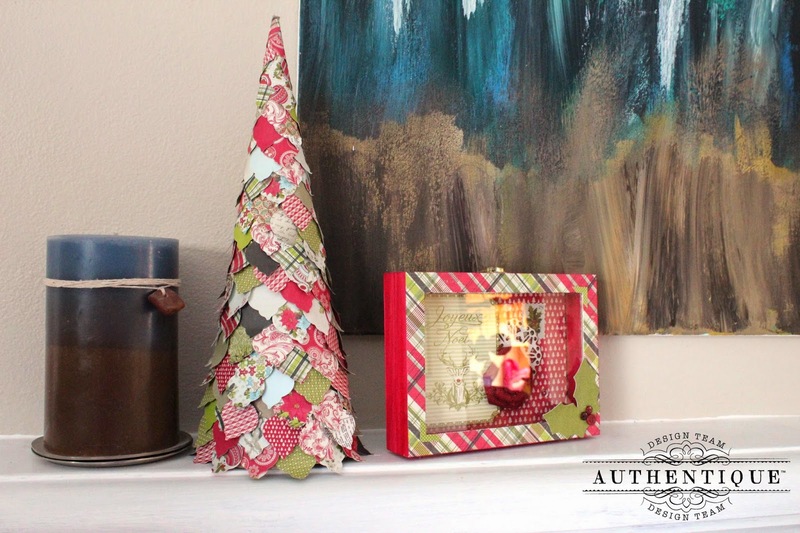 I hope that these projects get you in the mood for some Christmas crafting! 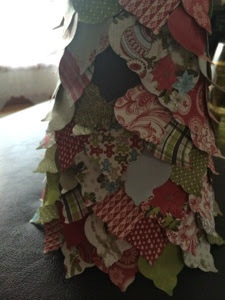 Great idea to use up all of the scraps of Christmas paper than languish in the scrapbox all year long. 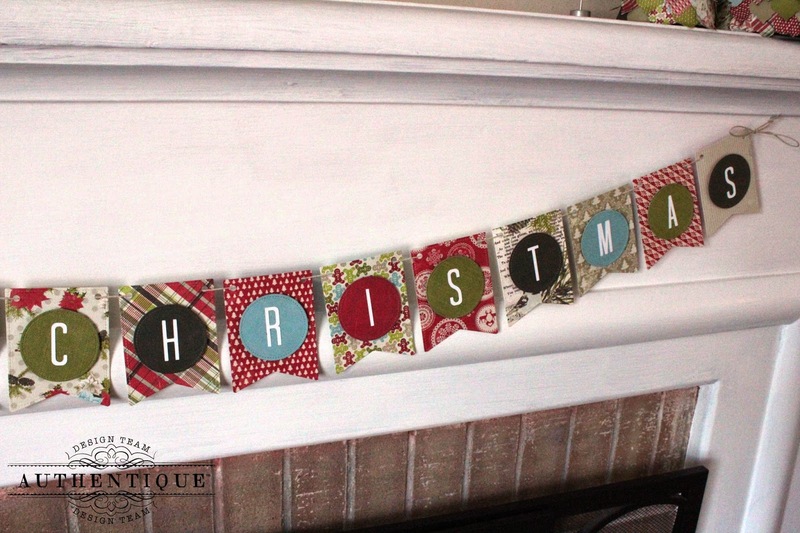 Perfect Christmas projects. The Banner is terrific. 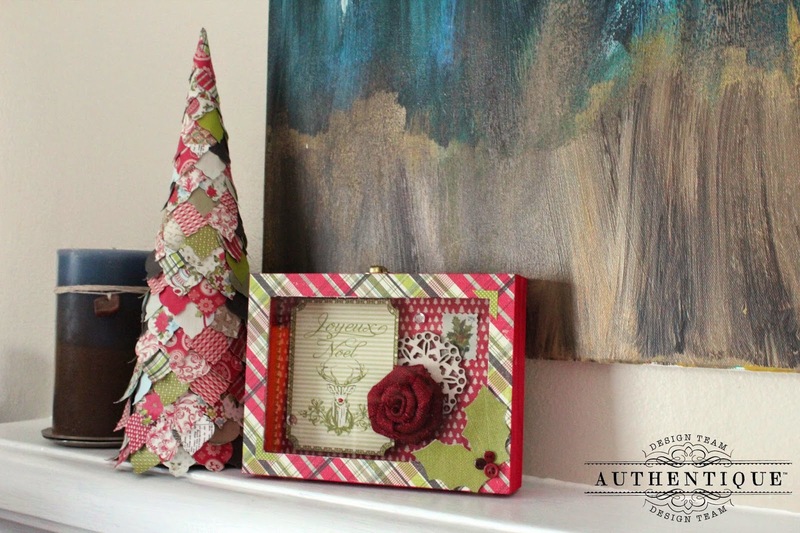 Lovely holiday inspiration! Love the tree and banner! Lovely projects. Thanks so much for sharing. The Christmas trees are very festive. Just love your papers and projects!!!! 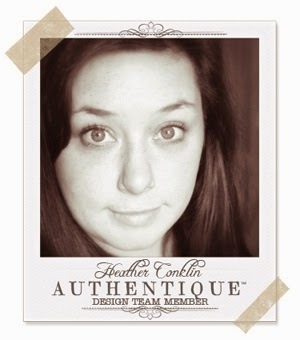 And your blog of course, too! Love that tree idea ! I am DEFINITELY in the mood for Christmas - THANK YOU Heather!! !